PVII Harmony is a responsive page layout tool that leverages the full power of the CSS Flexbox specification. Months of R&D have yielded a tool that gives you access to all of Flexbox's power in a simple to use automated interface running inside Dreamweaver, without having to worry about browser quirks. Harmony is a definitive solution—a bridge to the future of web page design, a new way forward that you can use today, on new or existing pages. No coding is ever required. Five minutes after installing Harmony and I'm flat out astonished! That's about how I felt after I was able to redesign our home page in about an hour! Ninety Five bucks again - after just spending it on LBM ? LBM is most certainly not obsolete and you don't need to buy Harmony unless you have an interest in using the Flexbox spec to layout pages. In my opinion, our tools are far more valuable than Dreamweaver itself. In fact, I think the best part about Dreamweaver is that our customers are able to use our extensions. Al, no not upset at all - as you know I love PVII and have used it for many years. I am unclear on the differences and/or the need for Allegro, Harmony, LMB or your other page design tools. Are there other widgets for menus, sliders, etc. built in to each or any of these? We are Mac based. I am not a coder. I am a marketer, designer and content developer. 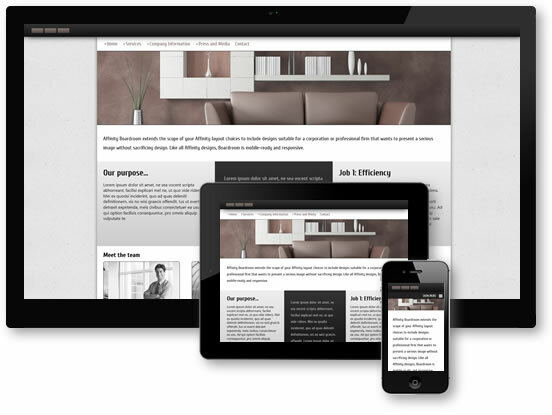 We need responsive site building tools all in one. We build lead gen sites, so we need design flexibility --- mover things around, change layouts, testing. Dreamweaver has become a nightmare. It hogs CPU and slows down the entire system. And, the system has 32G ram. Adobe support is even worse. Hope someone can clarify. Thanks. I do not think I was alone in being a bit ticked about the release of Harmony after having invested in the LBM ecosystem. However, a major reason for being ticked is I had already spent time trying bootstrap before settling on LBM & naively thought I was set. Which frankly is a bit silly of me. Of course new layout/design tools are going to come to market. What, I would prefer pvii not make them available? The one item I am set on is DW cs6. I have also used Sublime 3. I prefer DWcs6 mainly because of my extensions. The vast majority of them are pvii. So, I have made my peace w/pvii & Harmony. Re: Adobe support. O NO. I do not count on or use Adobe support. Products yes, support no. I am on an AMD FX -8350 8 core, 16GB, GTX 660, W10 box. My performance w/multiple cs6 apps open is very smooth. Re: Lead generation. Our HISOT v7 web site , http://www.hisot.com has exceeded our original leads target. Other than experimenting w/the # of fields in our Quick Quote form, v7 has been a homerun & built w/LBM. Allegro and LBM are float-based tools. Allegro is a Page Pack, meaning it comes with an interface that allows you to choose from several layouts. The pages generated are complete pages and to modify them you need to edit CSS. Column/row configurations are locked. LBM is a page layout tool. A UI allows you to build a structure on a blank page or inside an existing page. Once a structure is created, the same UI can be used to modify it, add and removing columns, as well as re-ordering columns. Harmony is unique in that it uses the CSS Flexbox specification and, as such is the first and only page layout tool for Dreamweaver that does so. The obvious difference is that LBM uses CSS floats to render rows and columns. Harmony uses the newer CSS Flexbox specification, which is a more modern technique, and one that is now ready for widespread use. Harmony is an easier tool to use, but there is absolutely no reason to change existing LBM pages. In fact, you can use Harmony inside LBM pages to create quick and elaborate grids. Going forward, you should consider Harmony for new pages for its ease of use, simplicity, and the natural flexibility attributes inherent in the Flexbox specification. Bootstrap will be turning to Flexbox, although it will be like trying to move an oversized load down a narrow alley :-) You made the right decision embracing LBM for floated layouts, and it's completely up to the designer to embrace Harmony, though it is most certainly not an either/or decision. Just purchased my copy, will start using after Bahamas vacation. I started playing with it today - in my initial tests, I actually think it is actually a bit easier than LBM for layout (which I didn't think was possible). I am wondering if we should expect to see Harmony Components and Harmony Start Up Packs in the near future as we did with LBM? Again, thanks for another great tool! Thanks Al and Gerry for another great product. I'm not sure why people in the PVII Forum are upset. Hmmm. I don't get angry with Apple when they come out with a new iPhone, which has features my current iPhone doesn't have. In fact I would be disappointed if they weren't continually moving the technology forward. I expect the same from companies (like Project Seven) that develop web design tools. I certainly never expected Deja Vu or Curvitude to be the last extensions that I purchased from Project Seven. I say... keep 'em coming! You're on a roll. The products you have launched in the past year are amazing. I purchased LBM a few months back and have really enjoyed using it. This looks pretty slick but is the flexbox model one that is widely supported at this time? I feel that layouts created with LBM use a widely supported model including older browsers, or fallback code to render properly. Is it the same with harmony or is it more for modern browsers? We include a script that automatically adjusts IE9 and under to use floats. We estimate browsers support for Harmony to be >99%. Some minor notes in case you want to fix it later. "Note: once you enter one or option for a column,"
English is not my mother tongue but I think there is something not right in that sentence. Under How About Transparency? in the user guide, the screenshot of the userinterface. A misspelling: Siver Blue which also occur in the real interface. An interesting side note. First I REALLY like HMY for it's ease of layout but I also like the components of LBM. So for those of you who own LBM and LMB Components here is a simple way to preserve some of their use. Place an empty HMY panel on the end of your design. In that panel create an LBM panel. Clear the text out. Save. Let me know what you think! Oh yeah, Happy Fathers Day! How do I add a "Color Scheme" to the masthead (1st column)? What I mean is that the available color schemes do not match the background color of my logo and I need to create one that matches my logo so that when I insert the logo, there won't be a difference in coloring between the logo background and the masthead color. See the user class sections in the U/G - http://www.projectseven.com/products/tools/hmy/guide/index.htm, possibly the Content User Class is what you need. Please create a support topic (this is the product announcement thread) and, as Sinclair suggested, post a URL to an actual page. The technique described in the tutorial does indeed work, but we cannot point out your errors unless we can see what you've actually done. You should probably take this over to the PVII Product Support forum, include an url when you post there, without a page to look at, it's almost impossible to offer suggestions. Have you ever thought of offering a subscription? Pay one fee per year and you get all of P7's products? It seems you have had a more or less continuous stream of products coming out lately. Hard to keep up. I doubt I need all of them but this model works well.